Dr. Lauren Goldstein is a technical writer and researcher at Arrowhead Center at New Mexico State University. Arrowhead serves as the economic development and innovation center for NMSU. She stories the development of entrepreneurs and startups through articles, press releases, reports, and grants. She is working with NMSU’s I-Corps site to implement Strategic Doing with team cohorts. For over a decade, Lauren taught a variety of university courses which included digital publishing, first-year composition, mythology, advanced composition, and creative writing. She actively publishes in a variety of genres and was most recently a finalist for a national poetry prize. More information on her diverse professional background is available at lrgoldstein.com. Lauren is driven by wanderlust and travels with her wife as much as possible, both locally and globally. 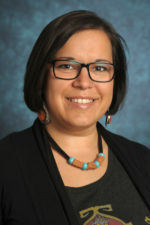 Lauren earned her BA in English from Creighton University, MFA in creative writing from Virginia Tech, and her PhD in Rhetoric and Professional Communication from New Mexico State University.